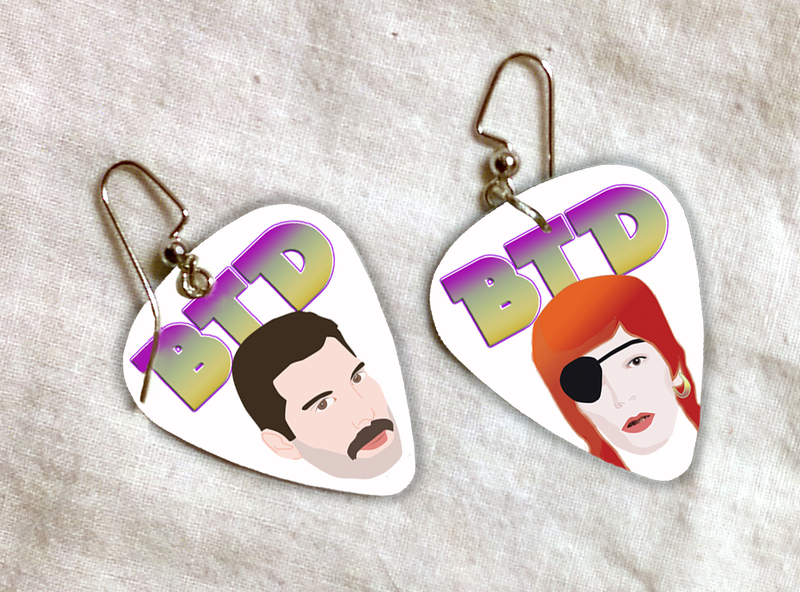 Rock Star guitar pick earrings! They will come as 2 different rock star pairs! My first one will be Freddie Mercury and David Bowie. The "BTD" is for my site, and Rock Resurrection Art's hub, Bite-the-dust.com. So far this is a concept design, so it may change a bit from this design. Joey Ramone and Joan Jett!